All three Art Collection fragrances are well done, but I like Art Collection #02 best (it was influenced by the work of Cecilia Carlstedt). 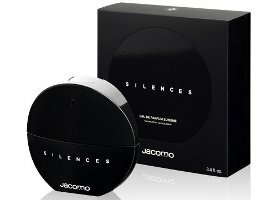 Art Collection #02 is described by Jacomo as “sensual, bohemian and a little bit wild.” It was inspired by an “enigmatic muse depicted in Cecilia Carlstedt’s work — a mysterious girl who could have escaped Carlstedt’s New York studio, leaving a trail of gum, leather and modeling clay scents in her wake.” (Let’s hope Carlstedt is not really imprisoning her muses.) Art Collection #02 includes fragrance notes of bergamot, amaryllis, tonka bean, vanilla, suede accord, amber, and patchouli. 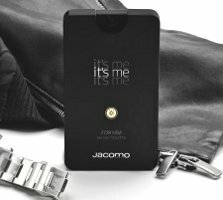 Jacomo has launched four new fragrances, including a trilogy for women called Art Collection, and a new scent for men, Jacomo de Jacomo Deep Blue.